The latest Nielsen report on smartphone usage reveals some interesting statistics about data consumption. 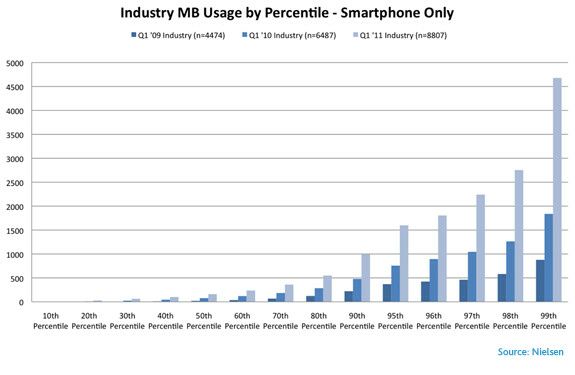 Smartphone data usage has increased 89% year over year. The top 1% of data users increased their consumption by 155%. 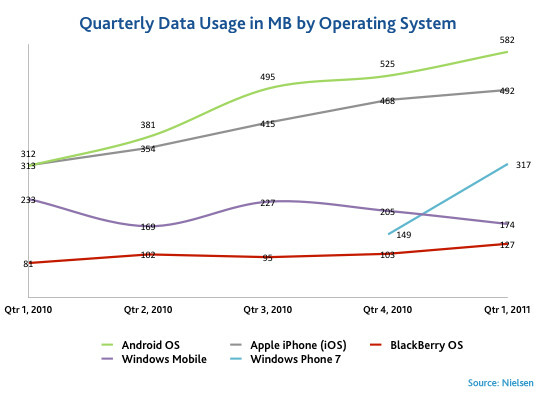 That means if on average the heaviest users of the mobile web and other forms of data were using 1.8GB a month in last year's Q1, this year that figure would be 4.6GB. So which platform spawns the biggest consumers of data? The Android OS is the answer with the average user burning up 582MB per month. The report from Nielsen almost confirms that the carriers are on target by offering 5GB of data before throttling down the speed of data downloads. 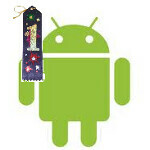 And after all, like the carrier's have been saying, we are talking about only the top 1% of users. If data consumption continues at the current pace, the big problem will start to occur next year when the top 1% of data users averages more than 5GB of monthly data use. You average users will still have nothing to worry about for some time yet. decent article but it lacks the causes for the increase in data. a lot of new tech has been released in the last year which uses a lot more data IE: Netflix, Pandora, Cloud Services, Google's new Music stream service, and navigation programs. Its is a 155% increase, not 155% of what they were using last year. Meaning don't multiply 1.8 by 1.5, but rather 1.8 +(1.8 * 1.5). Hope that helps but I almost thought the same thing too. Thanks for showing me how to do that :-) I always got those damn questions wrong in my marketing class because the teacher refused to show us the formula! Anybody notice the sharp increase from Windows? If that keeps up they'll be with the big dogs in no time. I like your name :) Now you need a good avatar pic to go along with it. Average user doesn't know about tethering and if they did they don't know how to work around it.